Some Mac owners trying to upgrade to the latest edition of macOS are encountering errors preventing them from completing the process, according to complaints on Apple's support forums. Users are encountering messages like "An error occurred installing macOS," or cryptic references to bridgeOS, the modified version of watchOS used to handle Mac subsystems like the Touch Bar. There is no one-size-fits-all solution, though some people have managed to get around the issue by resetting their Mac's system management controller, or SMC. Even then, users may encounter glitches and strange errors. A common factor appears to be Apple's T2 chip, so far found only in the iMac Pro and 2018 MacBook Pro. This not only runs the SMC, Touch Bar, and Touch ID, but includes an image signal processor and controllers for audio and mass storage. 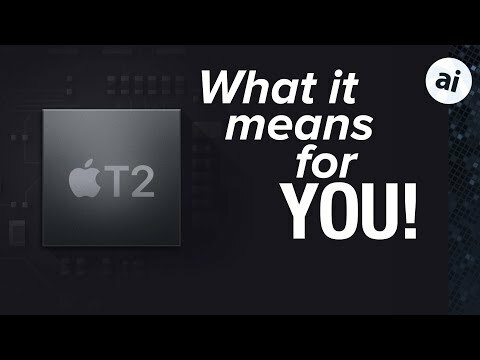 Some users on Apple's community-led support forums have reportedly had confirmation from Apple about the T2 causing the problems, which suggests the company could produce a software fix in the near future. Apple has provided no guidance on the matter at all. AppleInsider has not been able to reproduce the problem locally, but did contact several service providers about the issue. According to the providers we contacted, users looking to upgrade to Mojave should back up data in entirety using Time Machine, then attempt to install Mojave. If the installation fails, users should boot to the restore partition, by holding down Command-R on startup. Following the boot to the restore partition, users should format the drive using Disk Utility prior to installation, and connect to a wired network to install the Mojave system software rather than connect to Wi-Fi. Following successful installation, data can be moved to the volume using the Migration Assistant in the Utilities folder. Mojave installed perfectly on my 2013 MacBook Air and my 2012 MacBook Pro. Smooth, with no problems. I hope Apple resolves these issues for 2018 owners soon. It should be an enjoyable experience, not frustrating. Sometimes I’ve had problems installing an OS upgrade on multiple computers (with both the Mac and Windows) going back many years. - The suggestions in the article to fix this with Mojave make sense. I’m glad this article brought attention to the issue- I’m waiting until Apple issues an official fix before updating my i9. Hopefully, that comes soon with a supplemental update. I only have one working Mac left in the house (I mostly use iOS devices now), but Mojave installed beautifully for me with no issues. It's just an anecdotal point of data, but this problem others are having appears (at present) to be a very small percentage. Let's hope it remains so. When I upgraded to Mojave it killed any Metwork connection of any kind on my 2015 MacBook Pro with Reitna Display. The only way to get on a network is in Recovery Mode , and the WiFi network is partially working , meaning it can connect to the WiFi network or Apple with Safari.